You can help support traditional music education for kids in East Kentucky! The Cowan Creek Mountain Music School Scholarship Fund provides full scholarships based on family need and memorial scholarships which recognize outstanding student achievement. 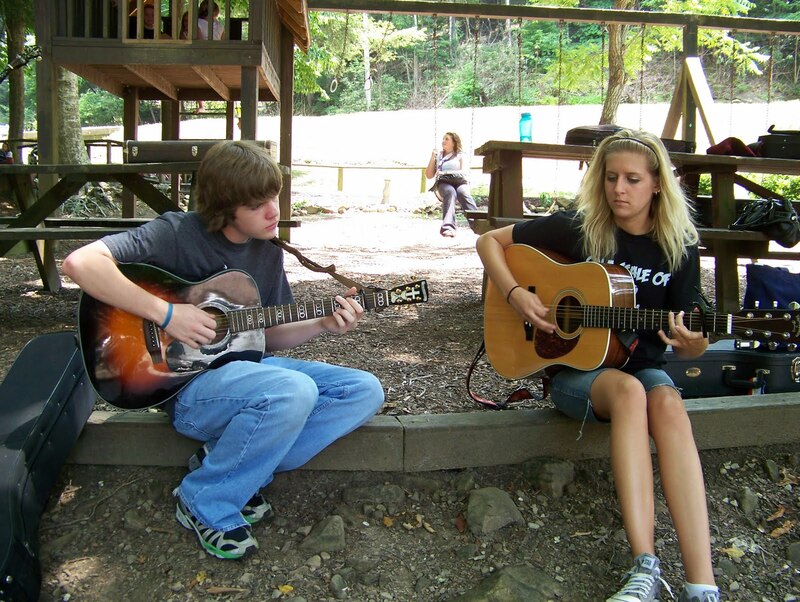 Through scholarships, we seek to assure that any Kentucky child who wants to learn mountain music will get that opportunity, regardless of family income. To date, the school has provided nearly 600 scholarships. The Cowan Creek Mountain Music School also partners with Appalshop’s Passing the Pick & Bow program which provides after-school instruction in fiddle, guitar and banjo at elementary and middle schools in Letcher and Knott Counties. These students are offered full scholarships to the music school. The Teaching Assistant Program provides the opportunity for young people to begin learning to teach old time music by assisting an experienced faculty member during the week of the music school. It is our hope that this will expand the availability of confident and skilled old time music teachers across the state. In addition to the Cowan Creek Mountain Music School, the Cowan Community Center will offer 3 more Kids on the Creek Day Camps in 2019. Art week June 10 -14, Food and Farm week July 8 – 12, and Headwaters week July 22-26. The day camps are free for all children and provide hands-on educational enrichment as well as summer fun. Your donation can help to provide more kids this opportunity. Your tax-deductible donation to the Cowan Community Center helps make these programs and more possible. Cowan Community Action Group, Inc., the governing body for the Cowan Community Center and all of its activities, is a 501 (c) (3) non-profit organization and your gifts are tax deductible. You will receive an acknowledgement of your gift. If you have any questions, feel free to contact us at the center.